Decades ago, doctors routinely visited patients at home, snapping open their bags to examine people in the comfort and privacy of their own homes. While the house call is unlikely to become commonplace again, there’s a fresh momentum behind new ways to bring care directly to people — often coupling 21st-century technology with good, old-fashioned community outreach. For those who lack transportation, the direct-to-you approach can mean the difference between getting needed care or going without. So how can we help more people obtain the care they need in the places they’re most comfortable? Mobile doctors’ offices are bringing care to people who need it most — they are, in effect, house calls on wheels. The vans are outfitted with medical equipment and private exam rooms and travel to neighborhoods in which a large percentage of people struggle to obtain routine medical care. Thousands of mobile clinics are bringing care directly to patients in communities around the country every year. Most of the vans offer primary care, but some are specialized to treat certain conditions or populations. For example, Highmark Blue Cross Blue Shield of West Virginia runs a doctor’s office on wheels for its members enrolled in Medicare Advantage, Medicaid and the Affordable Care Act marketplaces. 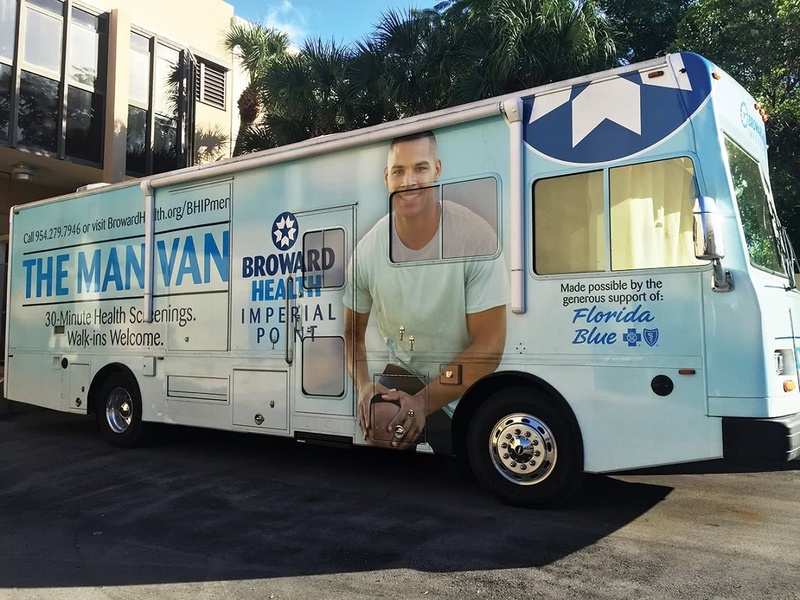 The “Man Van,” a partnership between Florida Blue, Florida’s Blue Cross and Blue Shield company, and the Broward Health Foundation, provides health screenings, such as blood pressure and body mass index readings, targeted at men who, studies show, are less likely to receive preventive screenings than women. The date, the man van has provided more than 1,400 screenings, or about 40 a month. Regence BlueCross BlueShield of Oregon and Regence BlueShield of Washington have partnered with Medical Teams International to roll out mobile dental clinics. In 2017, Medical Teams held almost 1,400 treatment clinics to provide restorative and urgent dental care to over 13,500 patients without access to care. The services, with an estimated value of $6.4 million, were provided by dedicated volunteer dental professionals free of charge. Blue Cross and Blue Shield of Montana also runs a Care Van that brings vaccines to rural populations, providing needed immunizations at no cost, or low cost, to patients. Mobile vans play a key role in prevention, according to the American Journal of Managed Care, and have succeeded in reducing avoidable emergency room visits and hospital stays. Not only does this reduce stress for patients and their families, it also saves money. The same study found that ten comprehensive mobile clinics saved an estimated $6.8 million in one year.